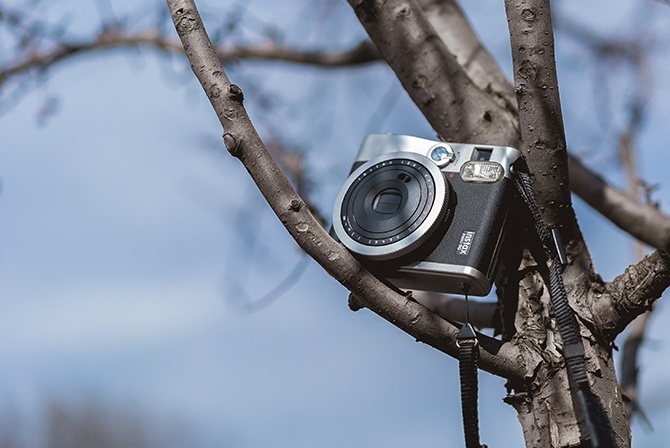 The Fujifilm instax mini 90 is loads of fun! With its retro look and variety of features, the Neo classic is for avid photographers who love taking a great photo. Lovely weather isn’t too far away, so let’s take a look at photographing many photographers’ favourite subject— florals!—with this classic instax. The Neo classic includes macro mode, which allows you to get some great close-up shots. This is key when photographing beautiful blooms to capture the beauty and detail of each petal. You can adjust the low-key or high-key effect on your mini 90 with the brightness of the photos. This helps whether you’re photographing flowers indoors or outside, regardless of how the sunlight is hitting your subject. Pro Tip: Try photographing your flowers on an overcast day! The light of the grey skies removes the appearance of shadows or bright spots, so it’s easier for you to have better exposure control! Backlight plays a big role in flower photography, believe it or not! Try taking the photo with the sun in front of you, lighting your flowers from behind. When the picture is taken this way, it will give your flowers a glowing look. If you’re outside, also try taking pics later in the day when the sun is lower for a softer brightness. Like most nature photography, flowers can be well-photographed in landscape mode. This works best if you’re trying to capture a field of blossoms or a large bouquet. Get more florals (and colours!) in one shot with landscape mode. The instax mini 90 Neo classic is a fun choice, and you can never go wrong with florals! Their elegance, beauty and colourful palette gives you endless combinations of photos. Whether it’s a pattern on your favourite frock, or you’re in a field of tulips, you can capture the charm and delicacy of each petal using these tips. To learn more about the Neo 90, check out all of its features.